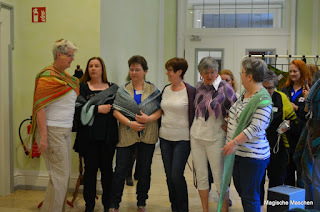 Petra Neumann has made a video of her impressions of the Intrnational Swing-Knitting Meeting in Helmstedt 2015 – thank you, Petra, that was a real lot of work and you did a wonderful job! 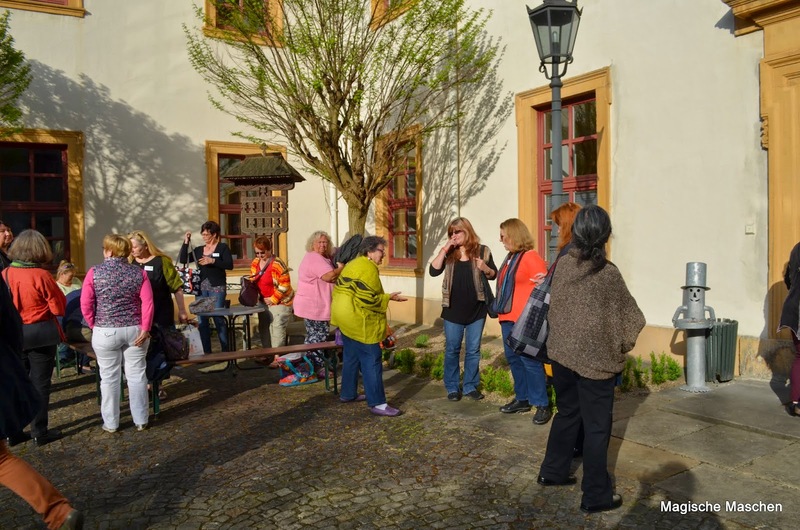 The Helmstedt mood was there again at once – pure joy! 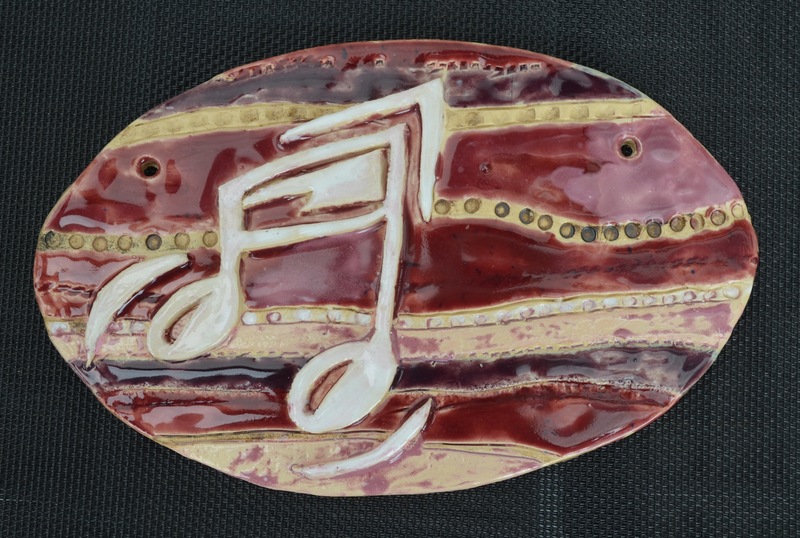 Swiss Wulle Festival 2015 – the classes are online now! 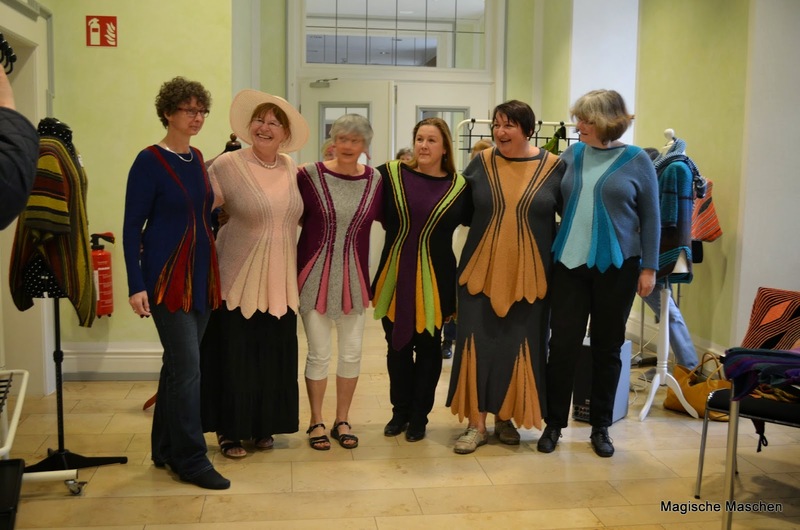 Swing-Knitting at Swiss Wulle Festival – I will teach 4 workshops there, some for every taste! 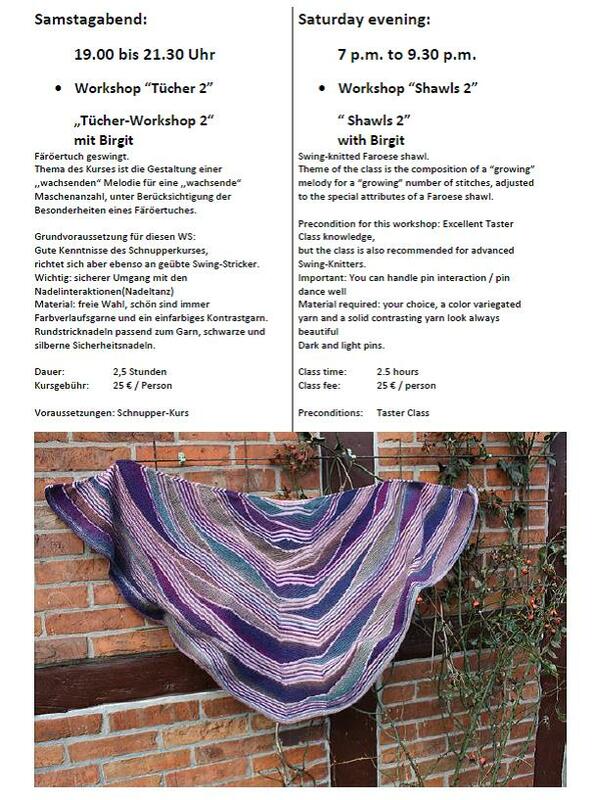 On Saturday, October 3rd, 9.30 to 12.30, I’ll teach the Swing-Knitting Taster Class in German, including the instructions for Lismeverruckt, the shawl I designed especially for the Swiss Wulle Festival. 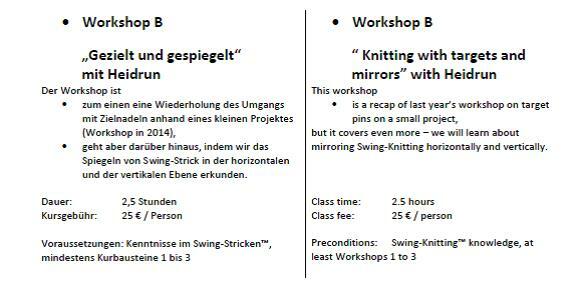 The same class in English, Swing-Knitting Taster Class and Lismeverruckt, I will teach on Sunday October 4th vom 10 to 1. 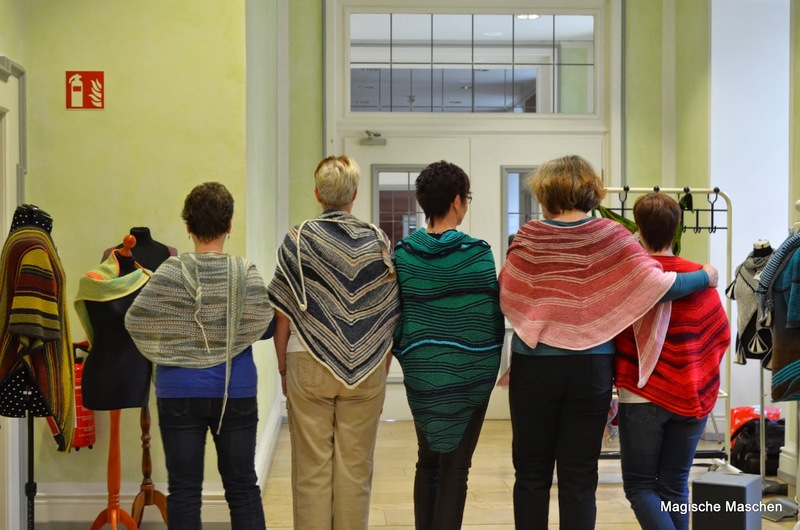 On Saturday, October 3rd from 15.30 to 18.30 I offer a class on knitting the Neptunia shawl – we will start to knit the shawl together, and you will learn all elements that are involved in this pattern. 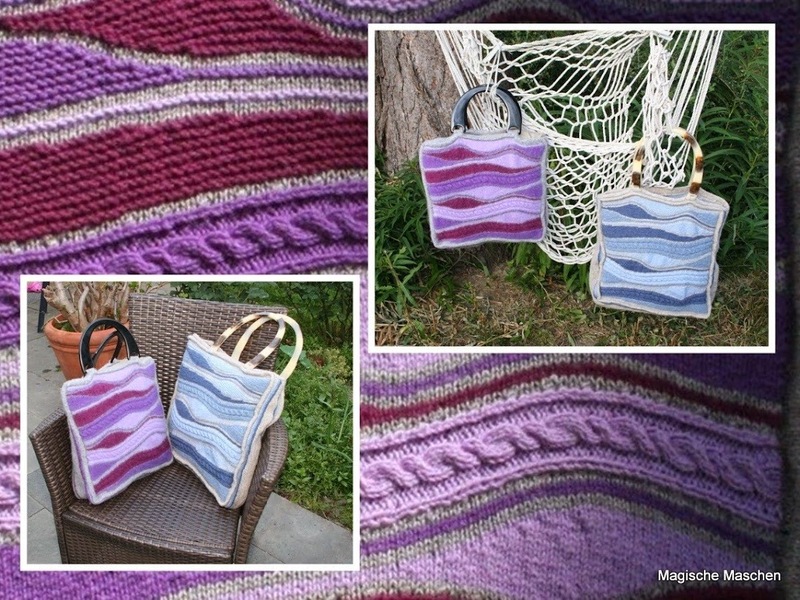 Please look at these two new Neptunias – my own one made of Siidegarte Siide Fideel, and Andrea has finished her gorgeous Neptunia made of Wollehimmel Wolke 7 – both yarns will be available at the Festival! 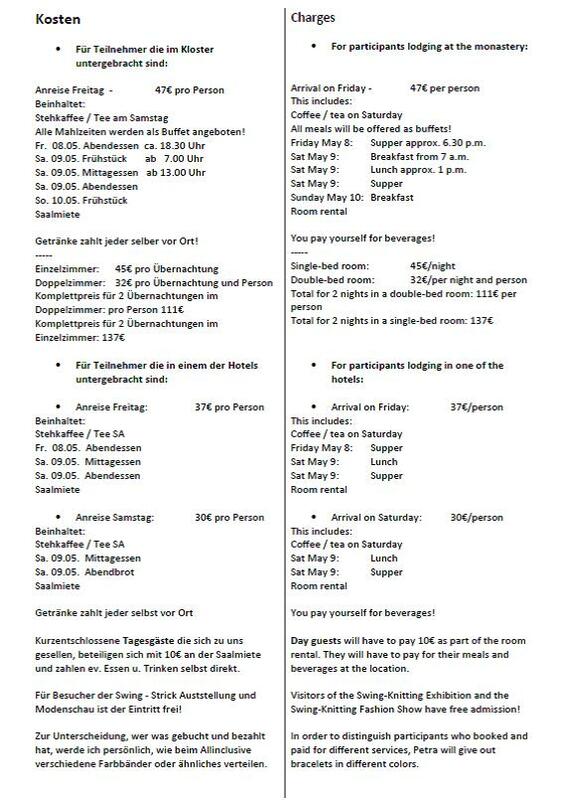 If there are English speaking people in this class, I will teach it bilingual! The Welcome Baby! 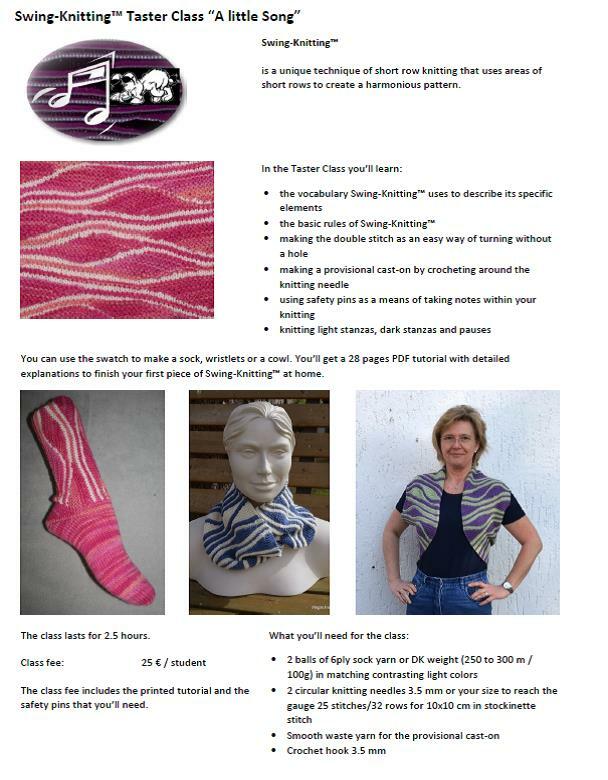 Hat is guided Swing-Knitting – the pattern includes a row-by-row instruction! 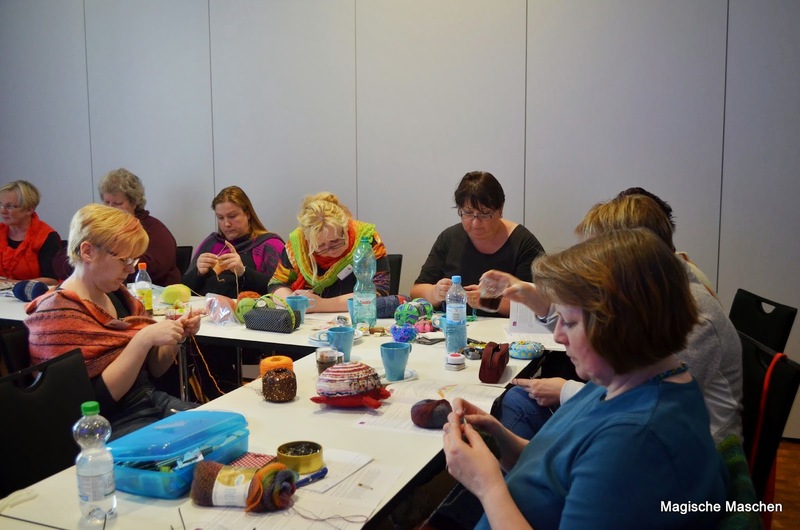 On Sunday, October 4th, 13.30 to 16.30, we will start this baby hat together and learn some Swing-Knitting elements on the way. There are a lot more teachers there, with very interesting and exciting class ofers! And there will be a lot of interesting and multifaceted vendors with a wonderful variety! Swing-Knitting™ Workshop 8 is online! 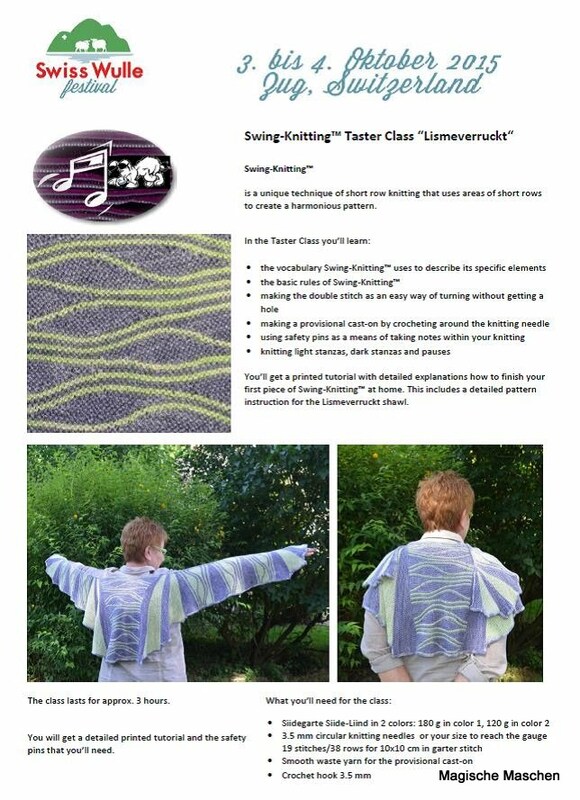 This tutorial is for ADVANCED Swing-Knitters™ only. 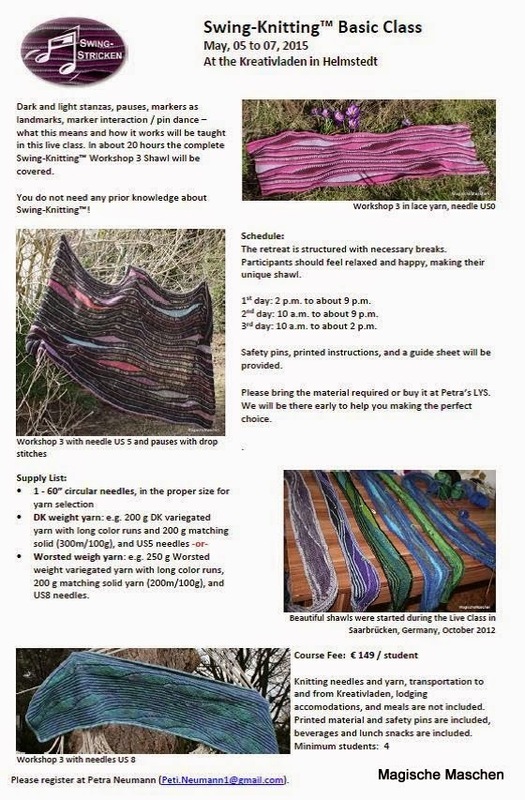 If you want to understand the contents, you must have knitted and understood Swing-Knitting™ Workshops 1-3 and 5 at least! 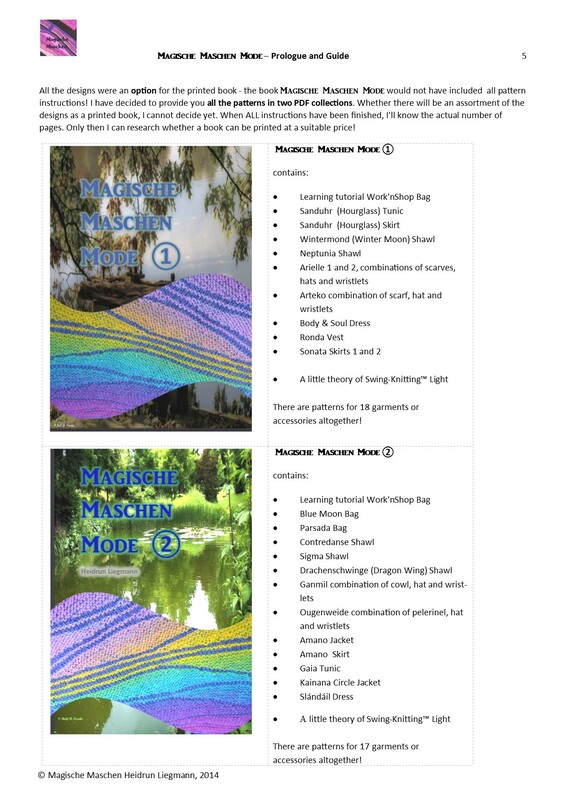 • A short introduction to the theory of target pins and compensating pins. 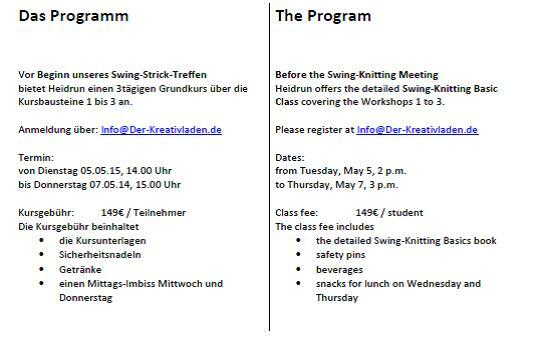 Experienced Swing-Knitters will grasp the concept easily and will be able to train and apply it on their own. 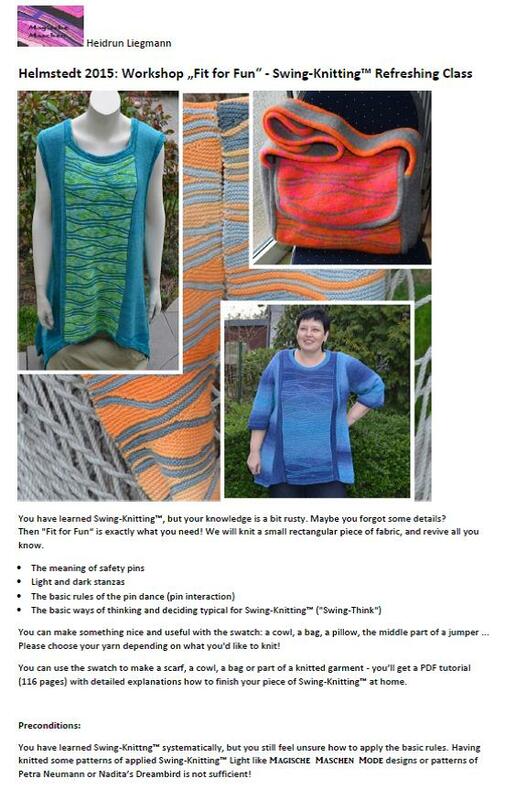 • A detailed explanation of the concept of knitting connections in Swing-Knitting™ – how to add a new piece of knitting to the right and to the left of an already existing Swing-Knittted knit, that has the same knitting direction and continues and completes the stanzas of the already existing (middle) panel. 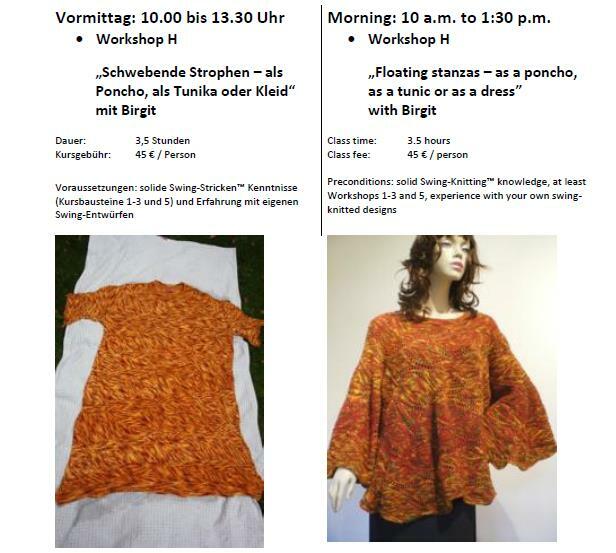 The workshop includes two knitting examples – the new Swing-Knitting™ contents are explained in great detail, adapted to these knits step by step and trained: Tirnanog and Philipp’s Cowl. 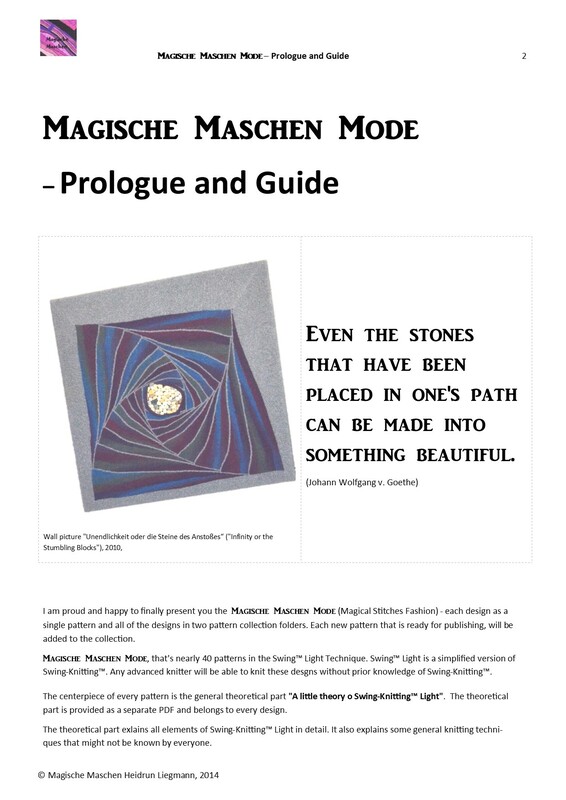 All chains of thought and all knitting steps are explained in great detail, using step photos, schematics and written explanations – for the concepts of target pins and compensating pins, for the different mirror-images of the basic segment and for the knitted connections in the side wings of Tirnanog that continue and complete the stanzas of the middle panel. 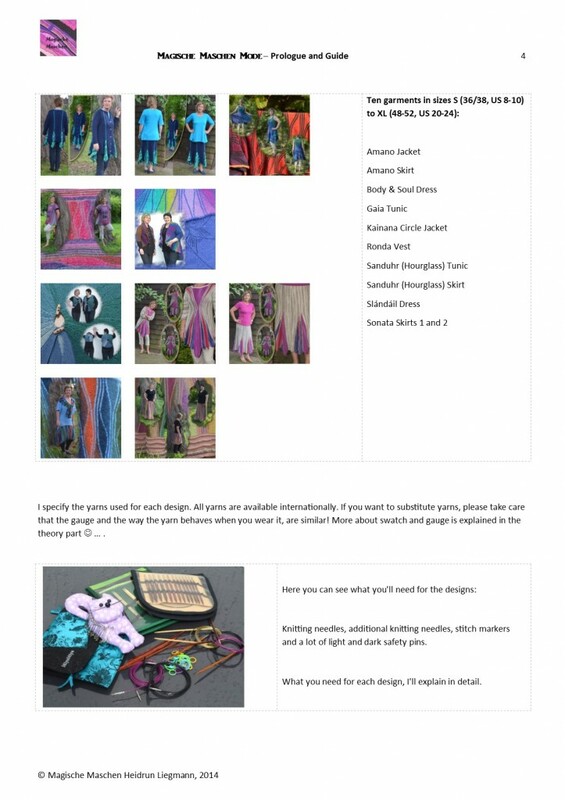 On 120 pages, the PDF of Swing-Knitting™ Workshop 8 explains everything in a detailed and reasonable and easily comprehensible way. 5th International Swing-Knitting Meeting in Helmstedt – THE event of the year! 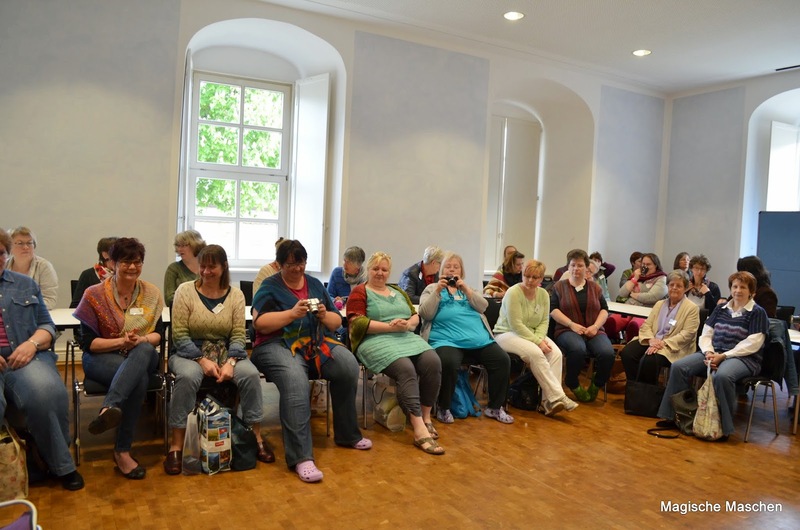 About 60 people süent a wonderful weekend together – and everyone could chose the way she liked it best! Chatting and knitting in the lounge, learning new things in classes, meeting old friend and finding new ones, admiring beautiful knits in the exhibition and as worn garments – everyone could make her individual mix! 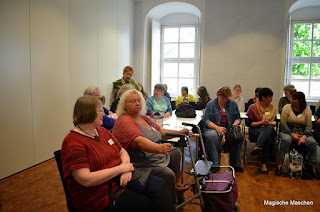 We laughed a lot and had so much fun – the atmospehere was cheerful and happy! 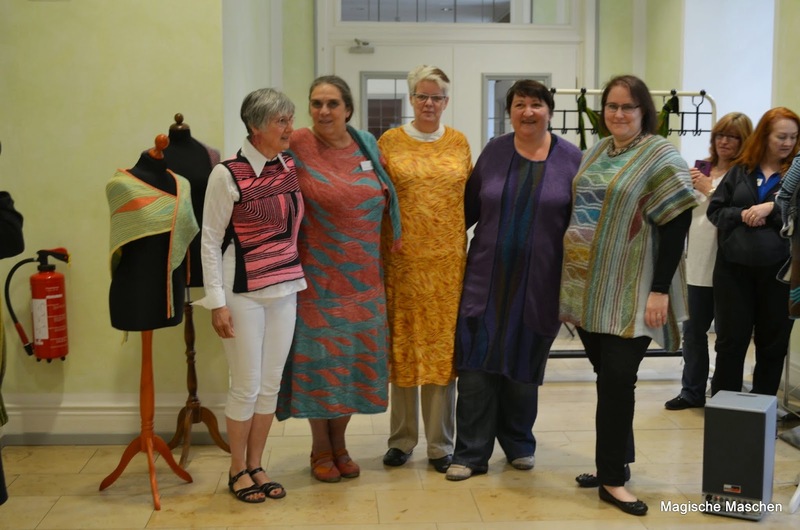 Thank you to Petra Neumann and her team, who did a great preparation of the event so that everything went smooth and stress free! And THANK YOU to all participants who made the event a harmonious and wonderful one! 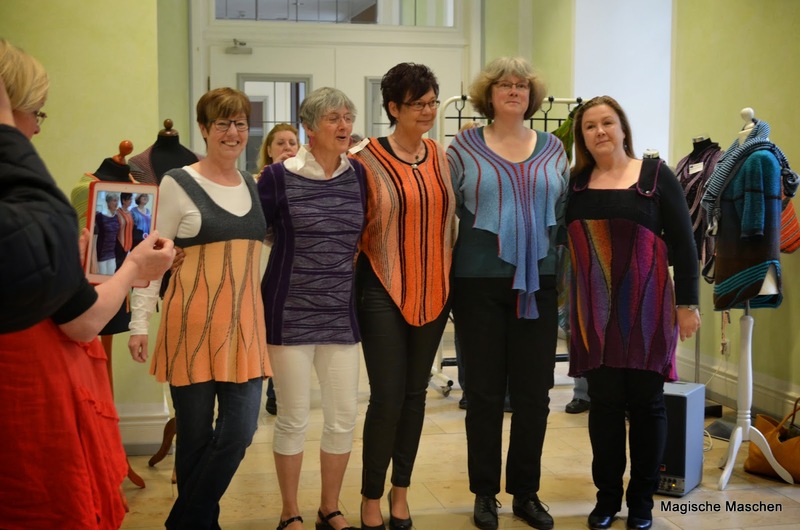 The Swing Fashion Show was a new element that we added to the Sunday morning program – THANK YOU to Angelika for preparing the show, and THANK you to everyone who added their beautiful knits and to our enchanting models! 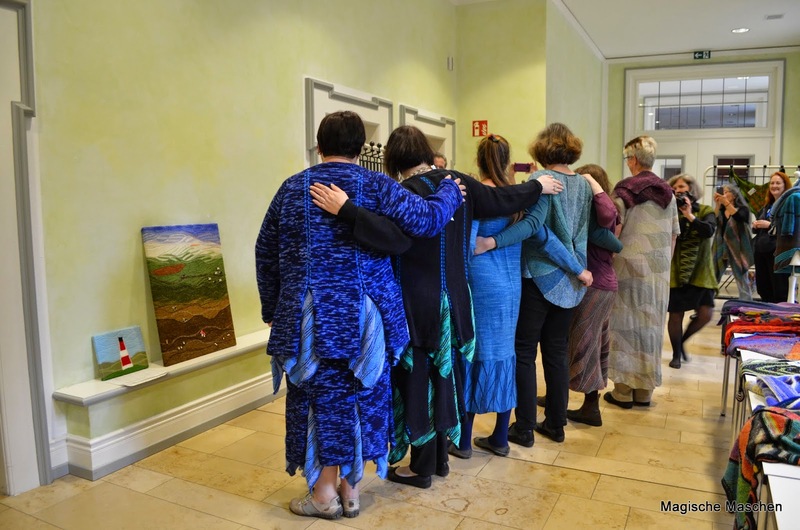 To see so much creativity and knowledge – it was stunning! 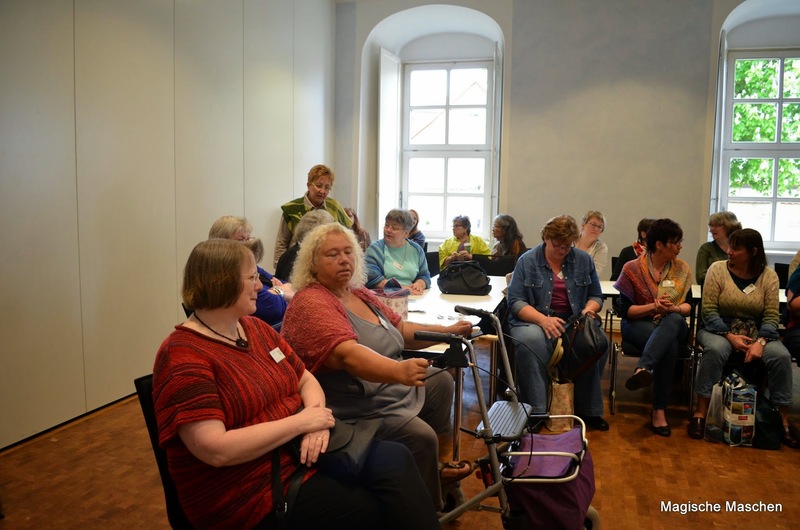 After Helmstedt is before Helmstedt! 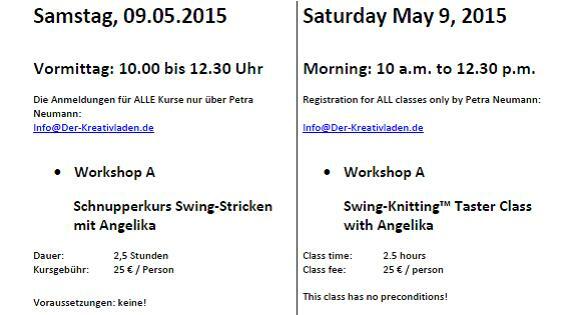 The 6th International Swing-Knitting Meeting will be from May 6th to 8th 2016 in Helmstedt! On my blog, I’ll show you some more photos within the next days, about the wonderful classes we had before the meeting! 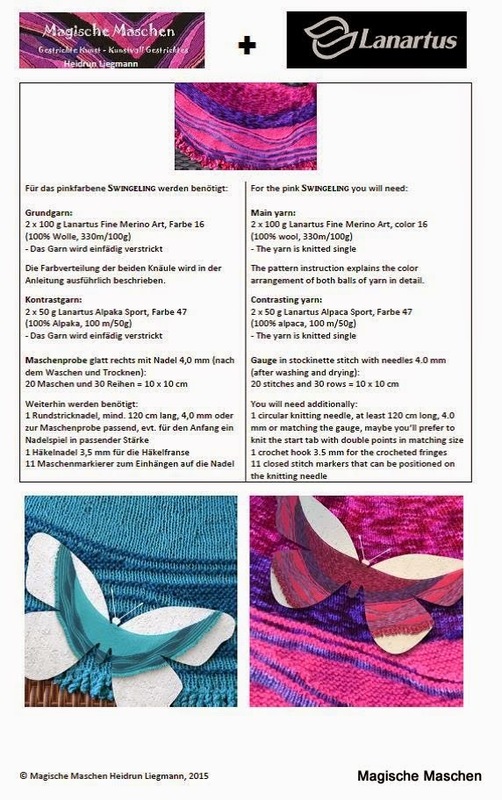 Lanartus & Magische Maschen – SWINGELING! 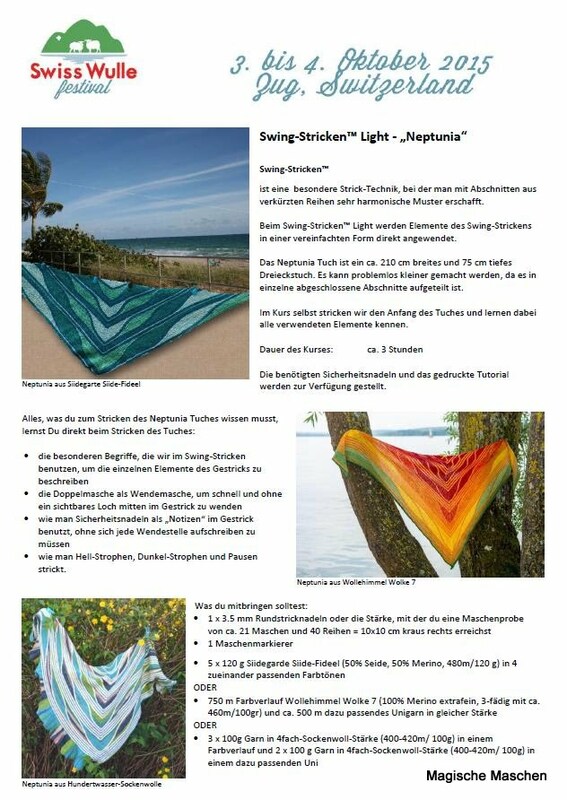 As we promised – Swingeling is online! 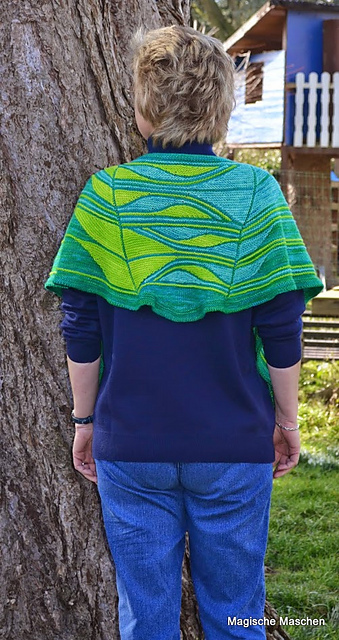 THIS PATTERN IS FREE FROM TODAY UNTIL APRIL, 05, 2015! 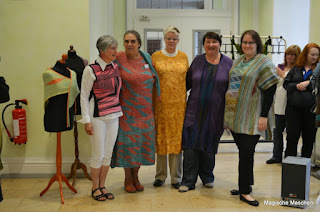 After this date, the pattern will be charged. 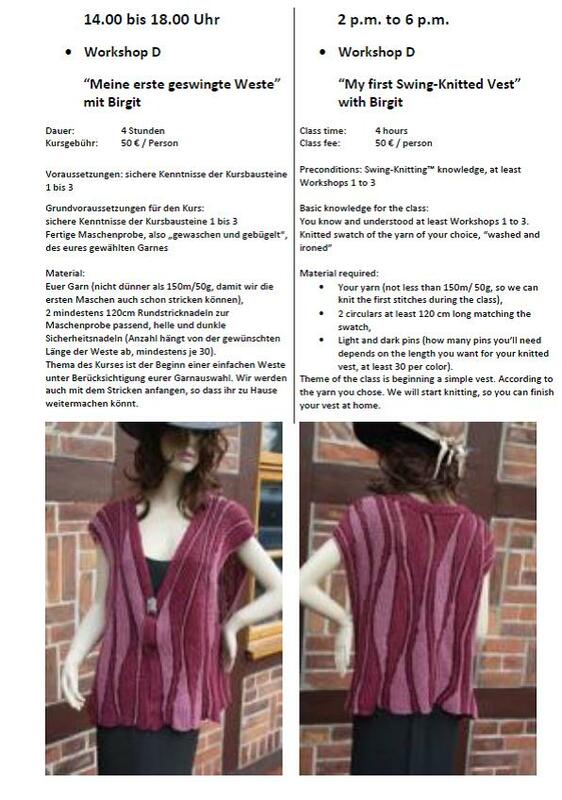 The pattern is available in German and English. 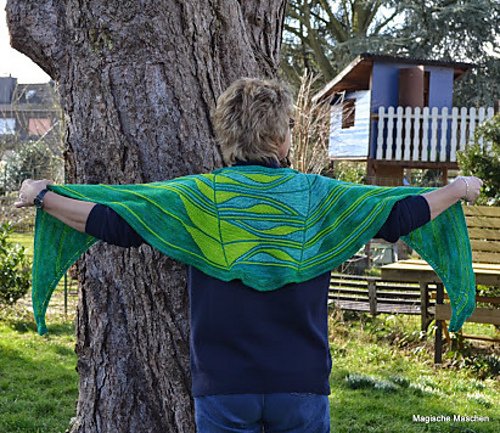 Swingeling is a crescent shaped shawl. 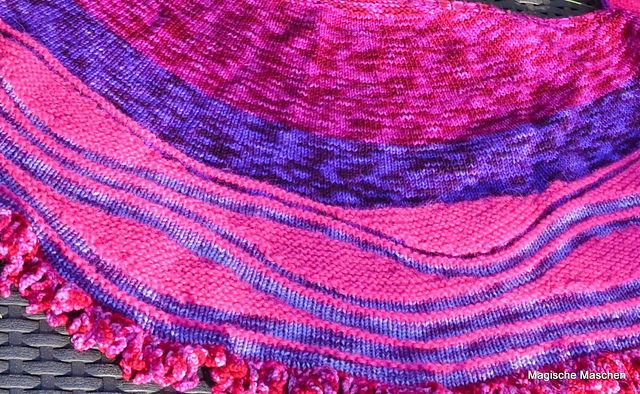 It is knitted top down. 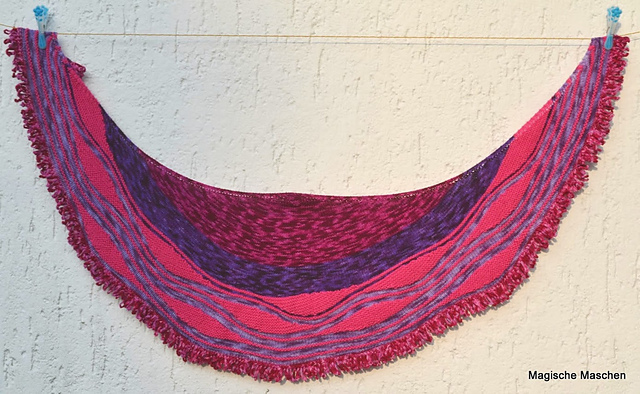 The main part of the shawl is knitted in stockinette stitch. 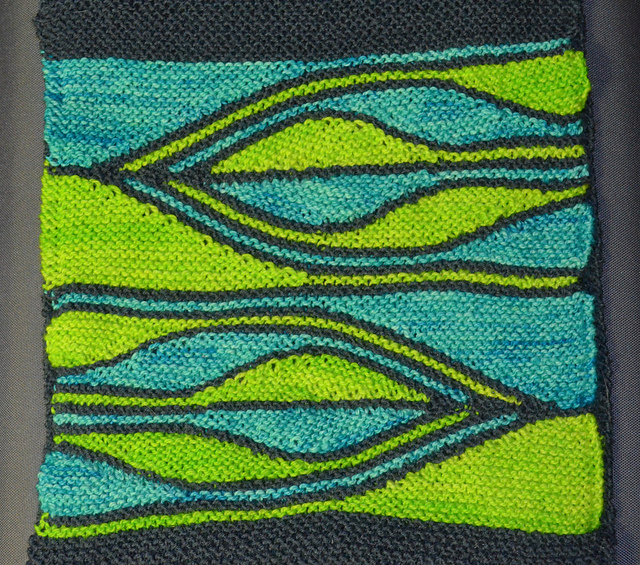 It has a wide border knitted in the Swing-Knitting™ technique. 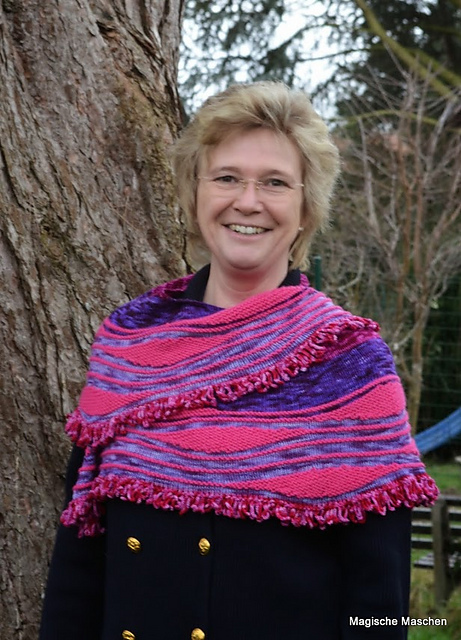 The shawl is finished with a row of crocheted fringes. 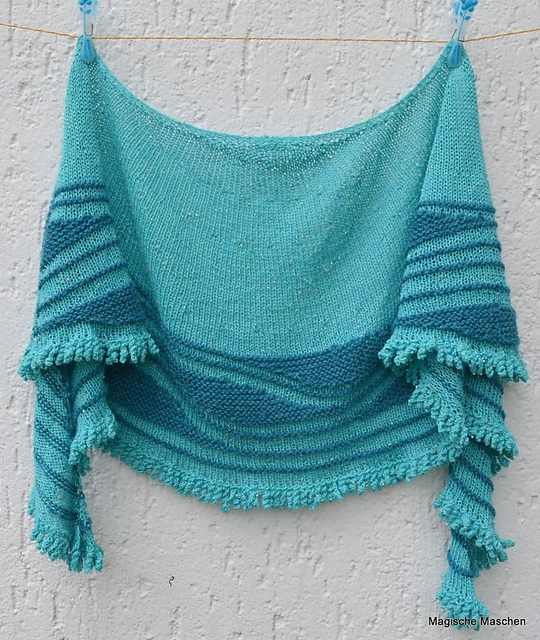 Swingeling can be knitted by advanced beginner knitters. 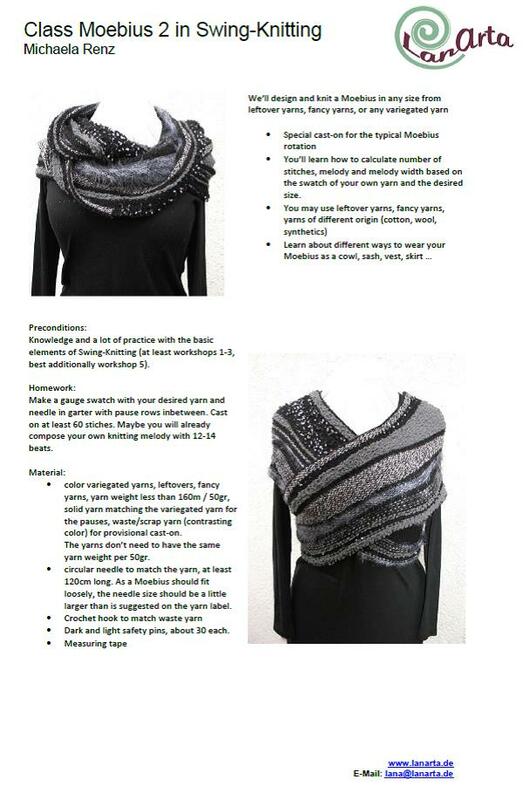 All knitting techniques that might not be known by everyone, are explained in detail in the Knitting Technique Appendix. 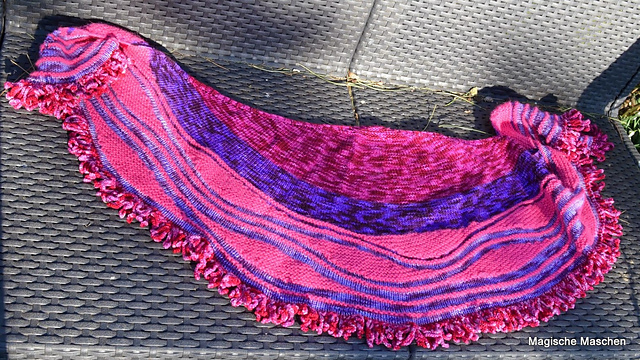 The shawl involves elements of the Swing-Knitting™ technique. 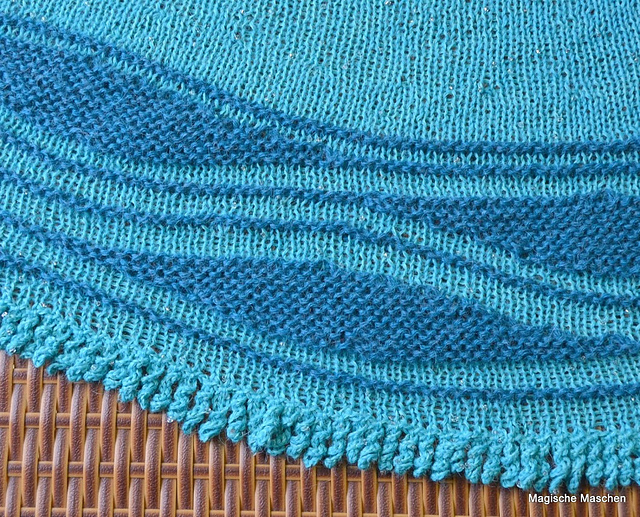 All short row elements are explained row by row, so you can knit it as an advanced beginner without prior knowledge of this special short row technique. 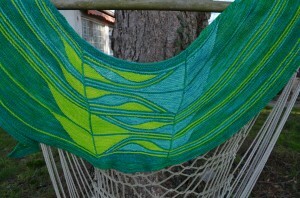 The green Swingeling is about 180 cm wide and 50 cm deep in the middle. 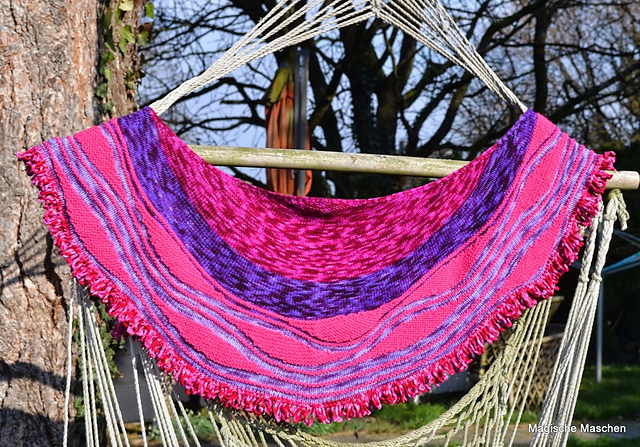 The pink Swingeling is about 140 cm wide and 38 cm deep in the middle. 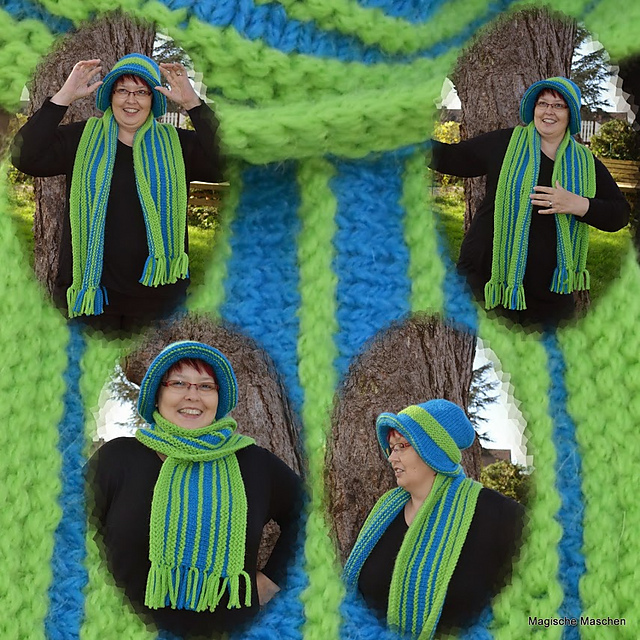 – both yarns are knitted held together! 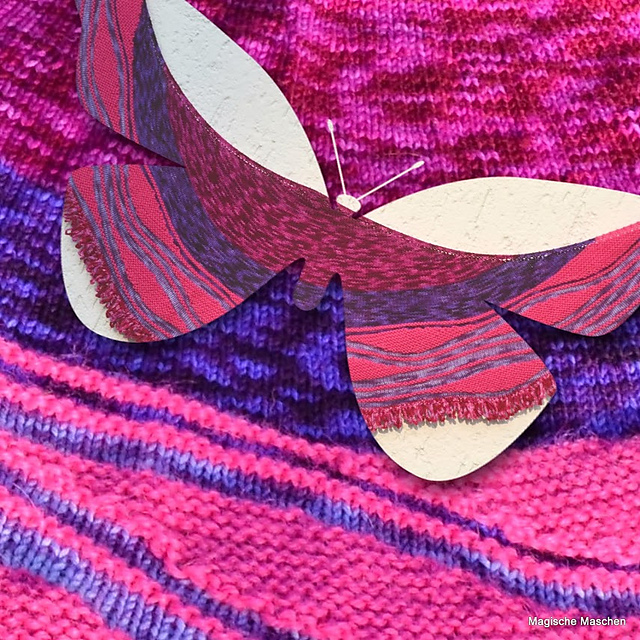 – Both strands of yarn are knitted held together! 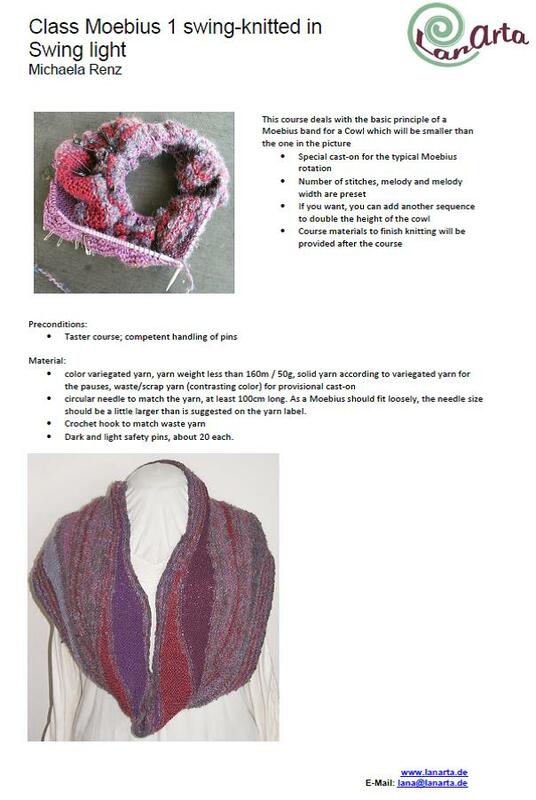 The pattern instruction explains the color arrangement of both balls of yarn in detail. 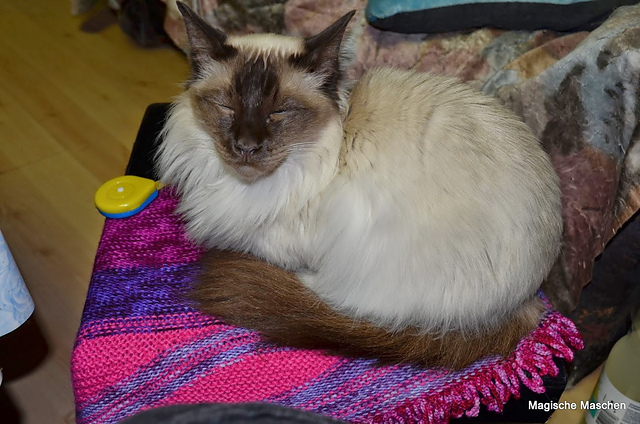 Bijou’s comment on the yarns – no more words necessary :)! 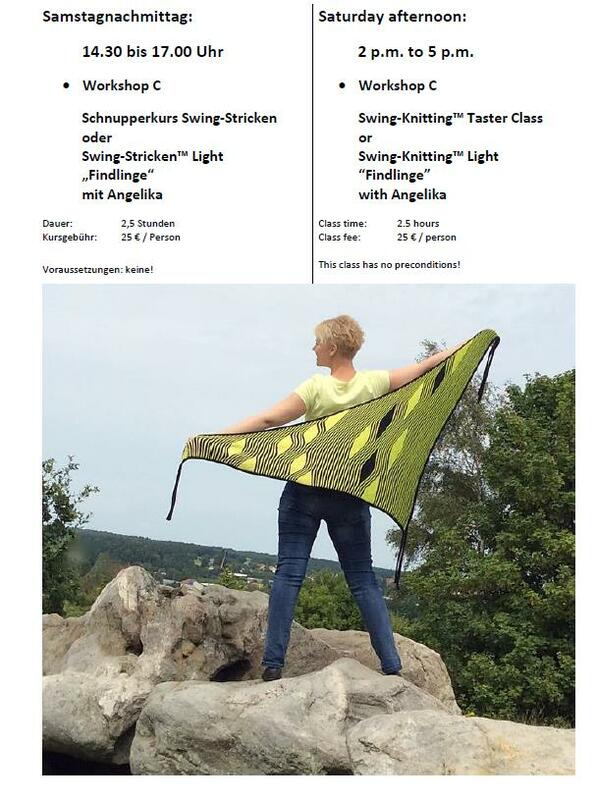 Next Wednesday, March 25, the Swingeling pattern goes online, in German and English! I will have finished the translation by then :)! 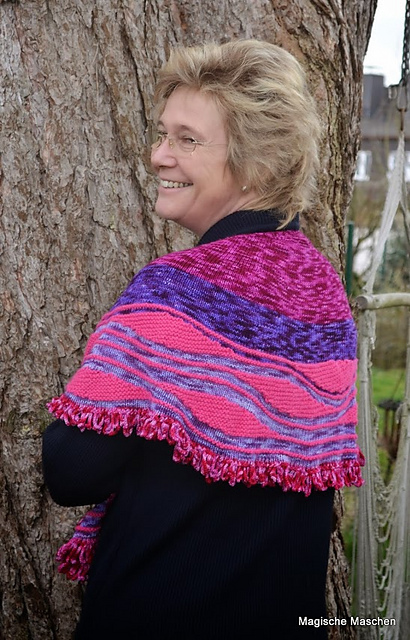 Together with Lanartus we decided the pattern to be free from March 25 to April 05 – you can download it from the Lanartus website and in my Ravelry Store Magische Maschen Designs – after April 05, the pattern will be charged. 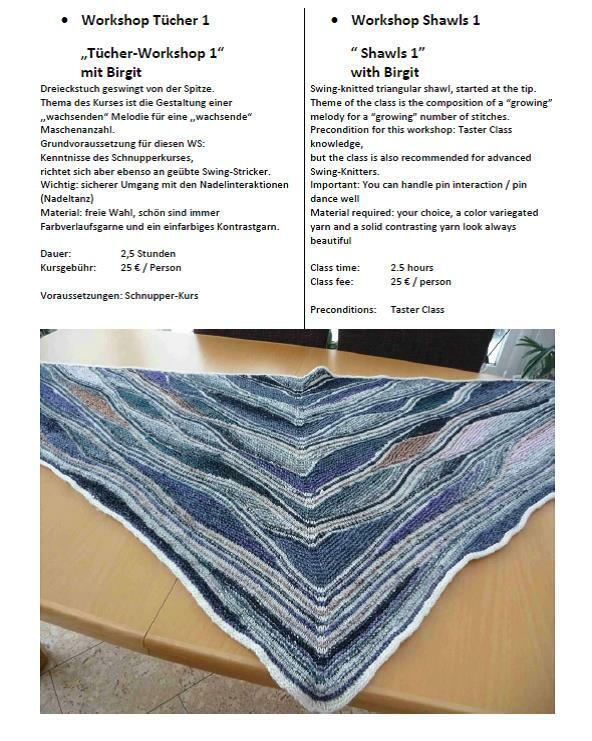 We did a lot of work during the holidays – we made up the program for the 5th International Swing-Knitting Meeting in Helmstedt! 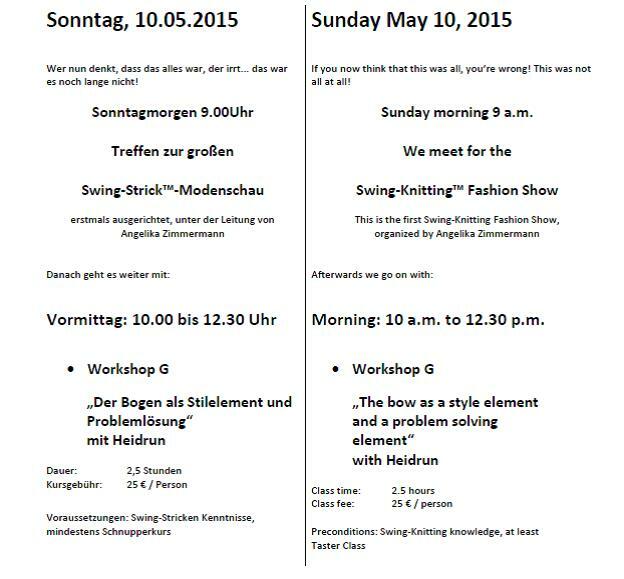 Here you can find the complete program of the 5th International Swing-Knitting Meeting in Helmstedt May 8 to 10, 2015! 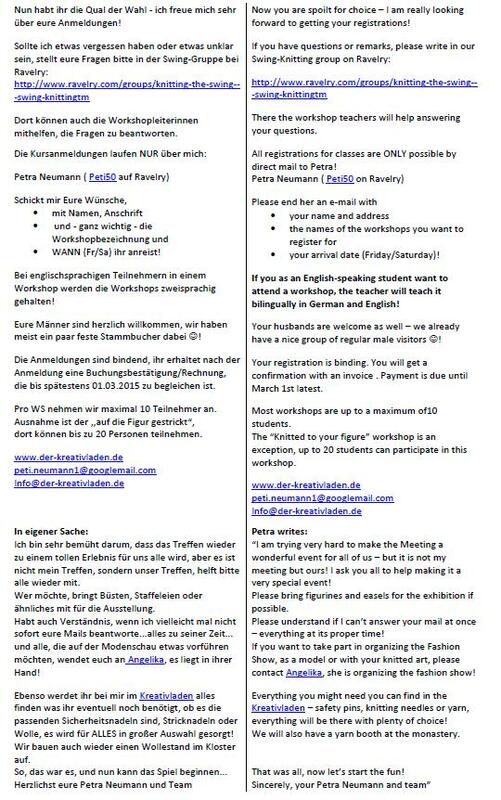 German and English, all in one document! 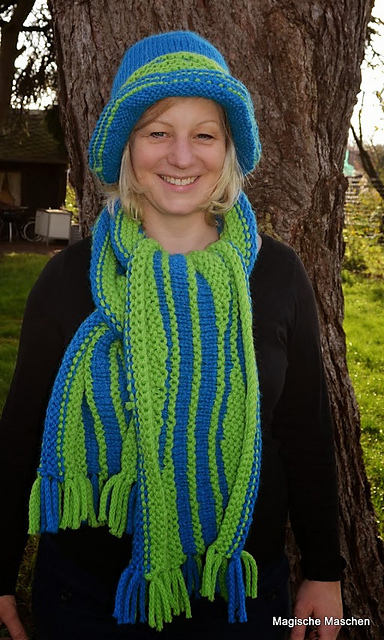 Swingy WinterWarm is a set of a brimmed hat and a matching scarf, knitted in the Swing-Knitting™ Technique. 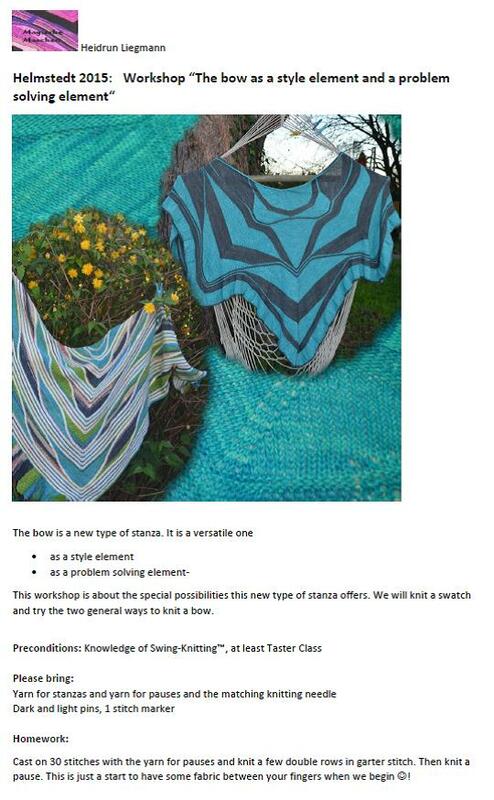 and hints for advanced Swing-Knitters™. 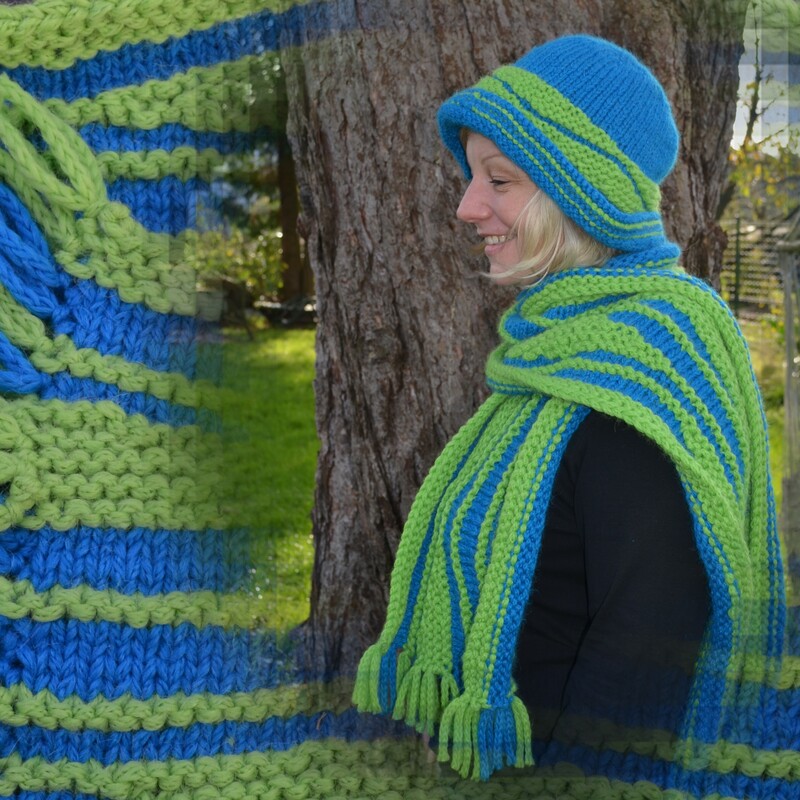 The hat is described for a circumference of 54/56/58/60 cm, the scarf is approx.155 cm long (without fringes) and 25 cm wide. 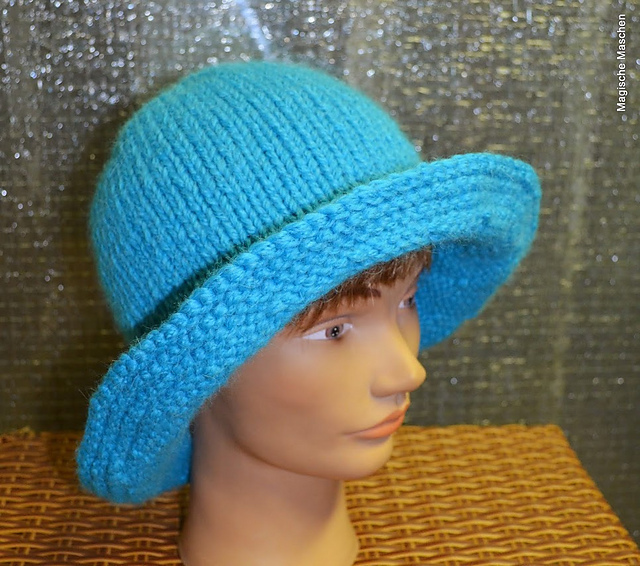 The hat is knitted with magic loop on a circular size 6.00 mm in the round, it is knitted quite tightly to give it a nice stand. 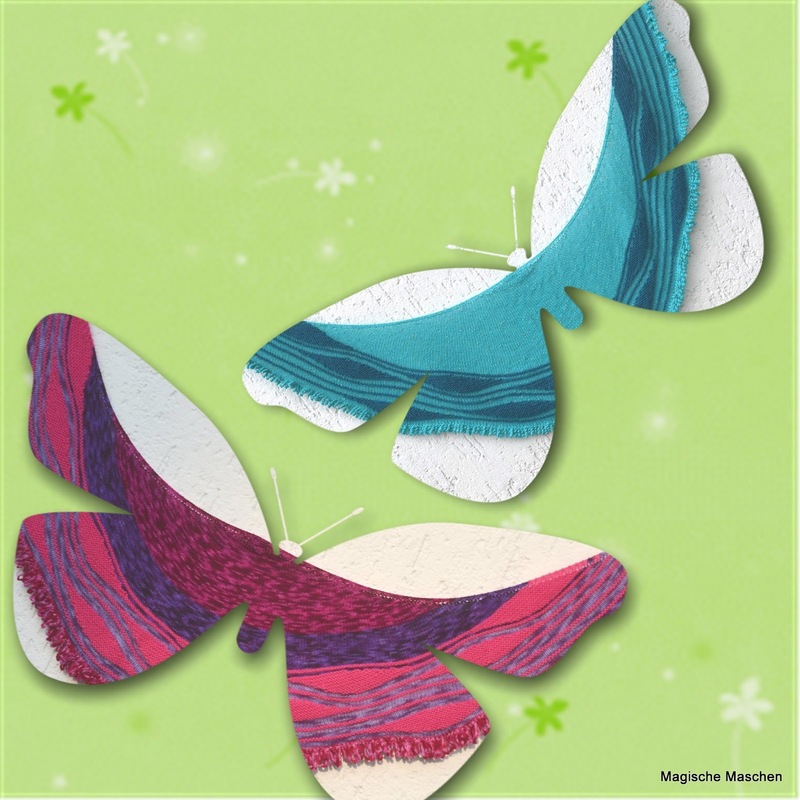 How to make the hat crown with magic loop, is described step by step. 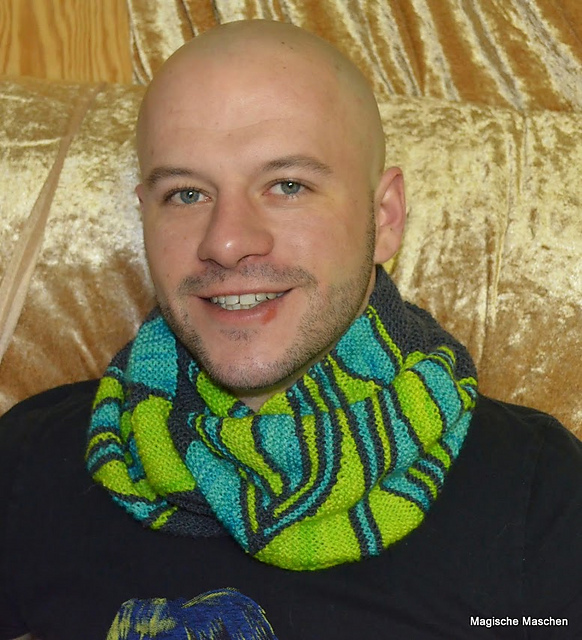 The scarf is knitted with needles size 8.00 mm. 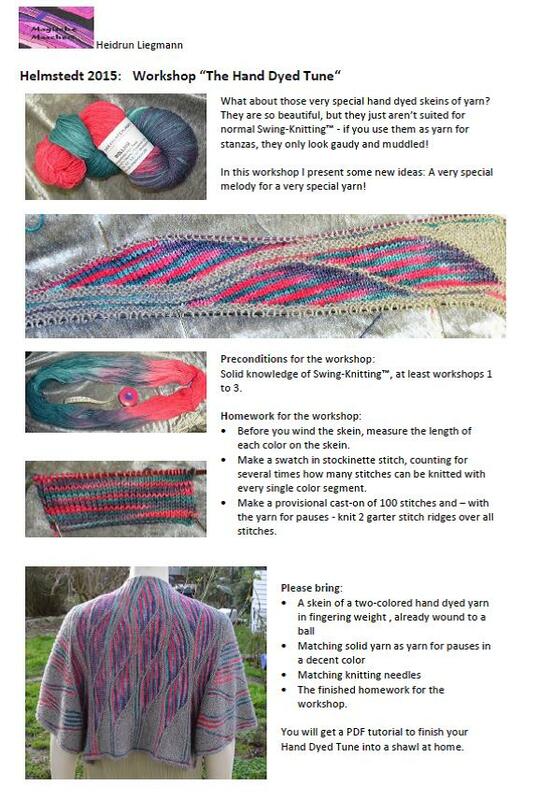 All knitting techniques that might not be known by everyone, are explained in the appendix step by step. 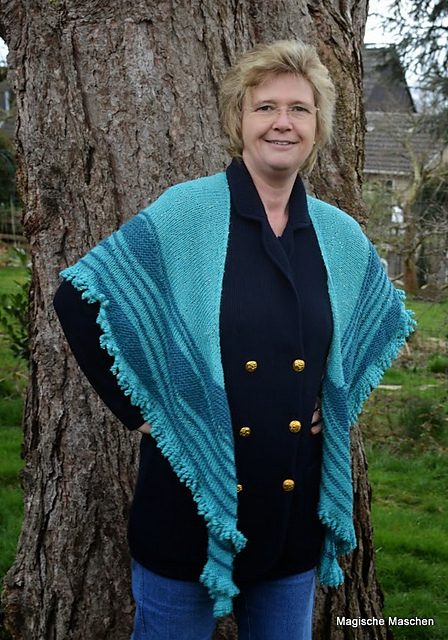 This is the Swing-Knitting™ version of my WinterWarm set which is available as a free pattern. I am proud to present you JAWOLLE.COM as a large online shop who will sell the original yarns for all of the hats! JaWolle ships internationally to all European countries and overseas. 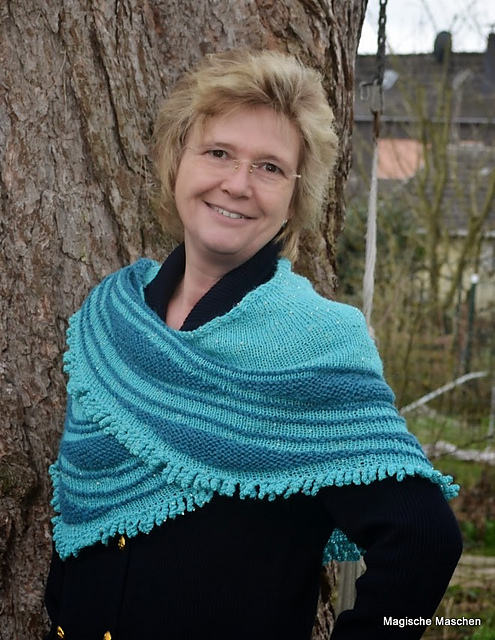 Today I’ll present you 2 new free eBooks with 5 new patterns! 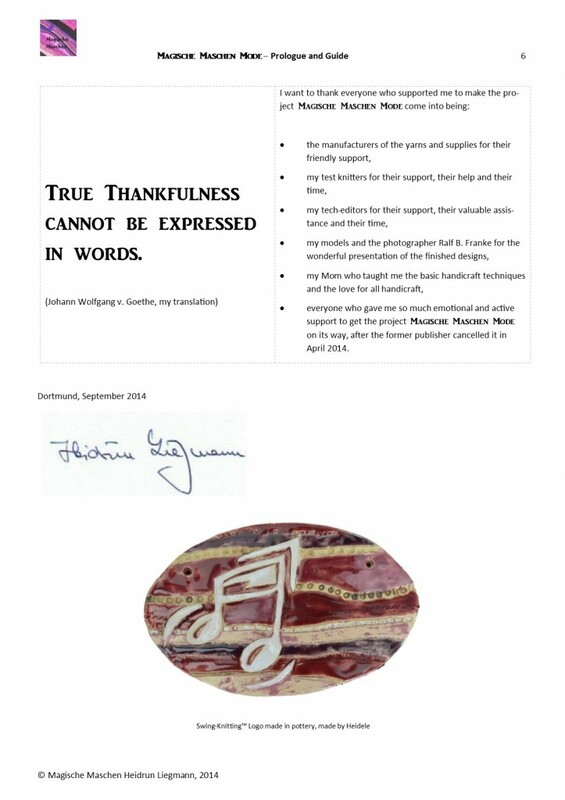 I want to say THANK YOU to you all! 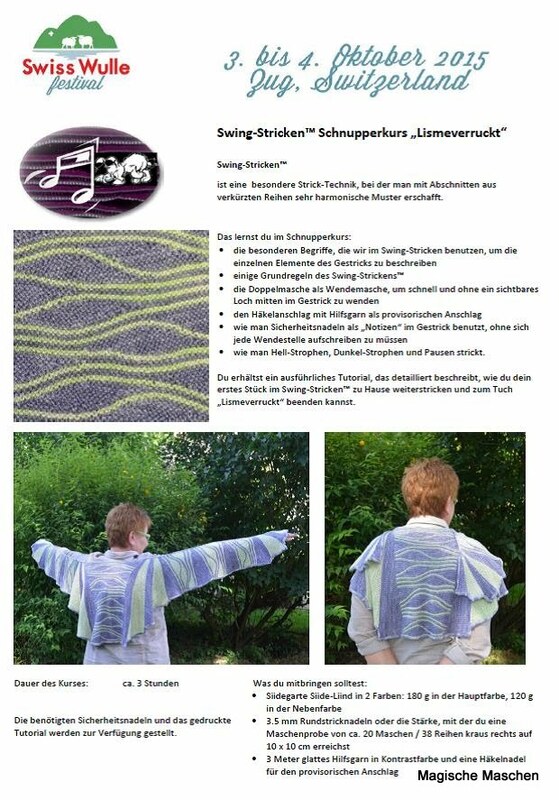 And I want to say THANK YOU to Matthias Ferner of Wollgarnspinnerei Ferner! 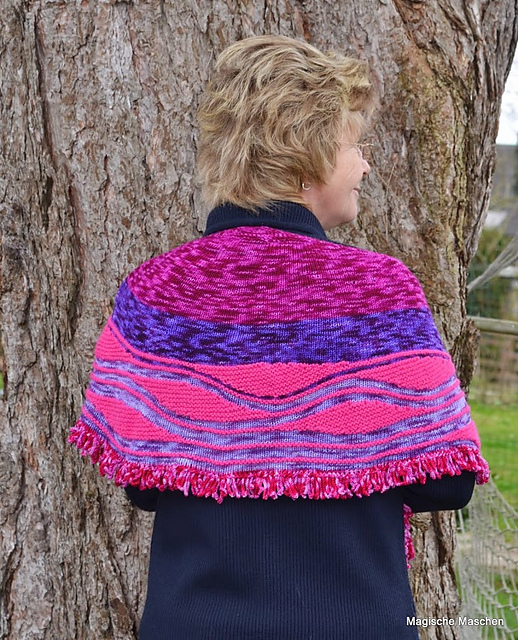 Both eBooks can be downloaded both from my Ravelry Store and from my websites. I’ll give you both links for every eBook. 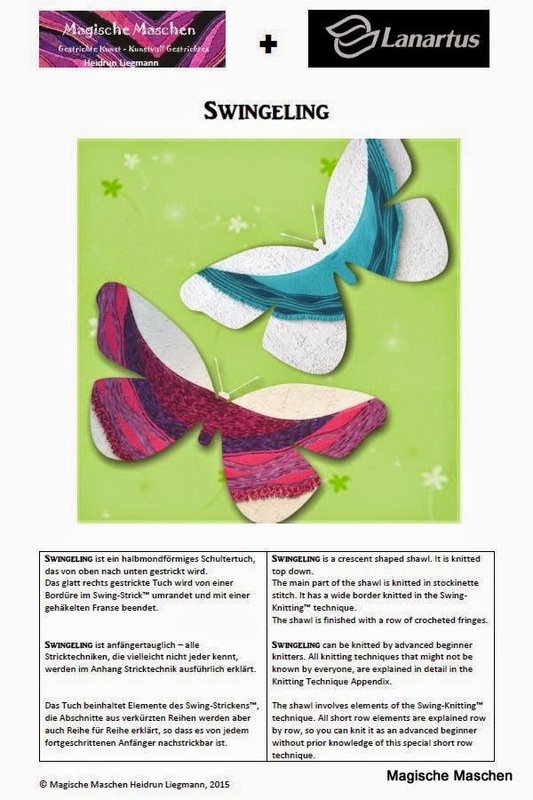 All patterns are written in German and English. 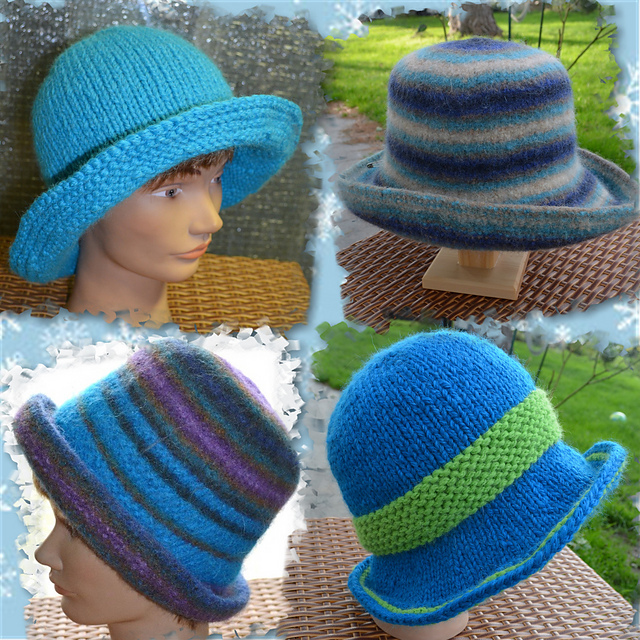 Hat Parade – that’s 4 different hats in one pattern! 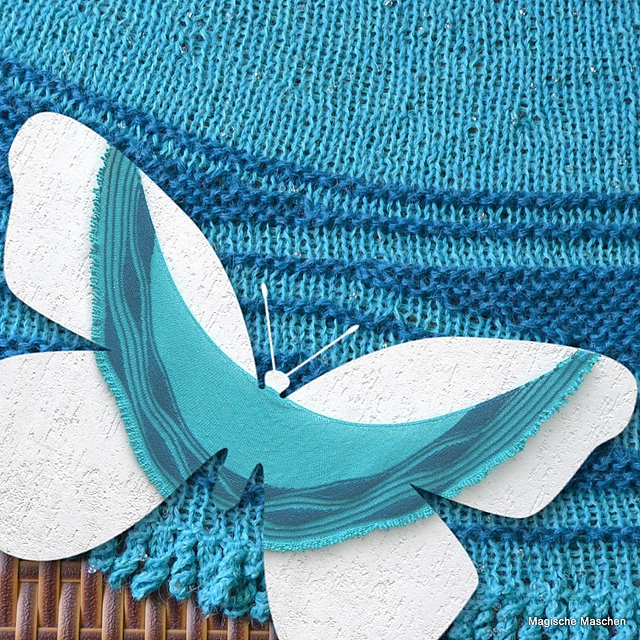 They are all knitted on a circular needle using Magic Loop, as is explained step by step. 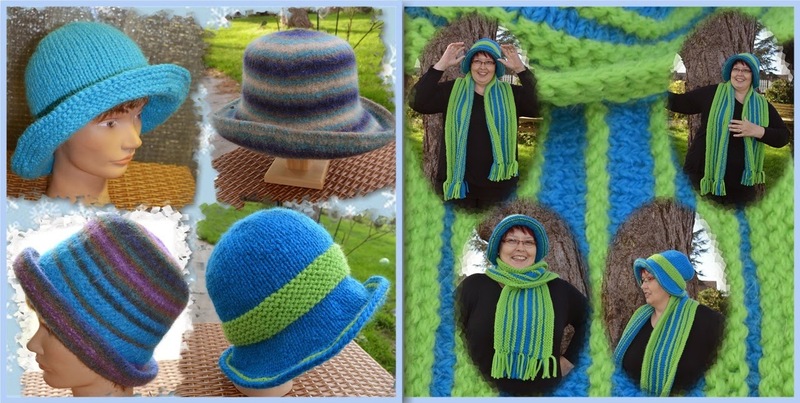 The pattern explains four different hats made of two different yarns. 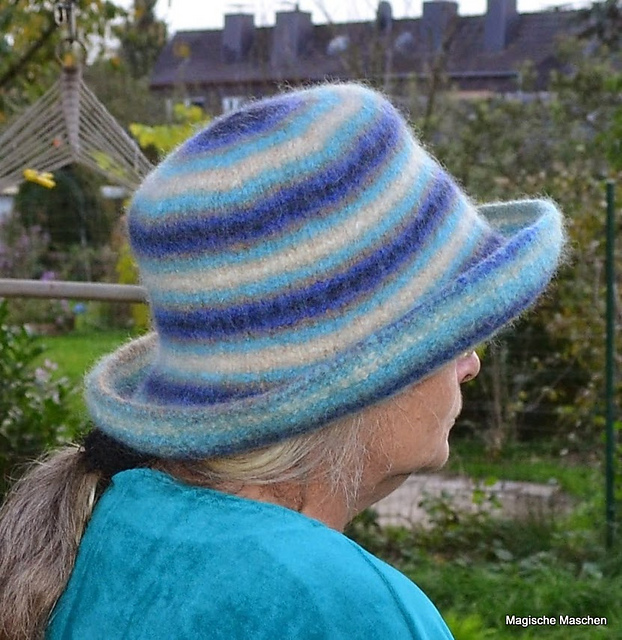 Two of these hats are felted in the washer after knitting, two hats will be worn unfelted. All hats differ in size and arch of the brim. 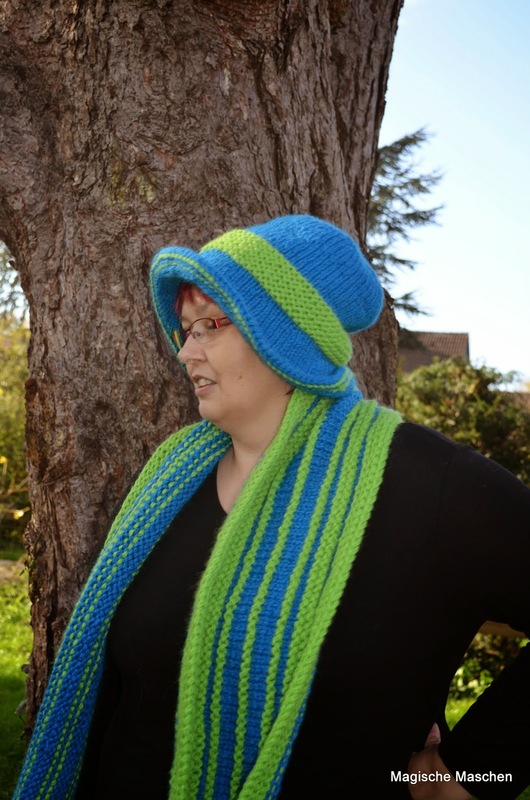 Stitch numbers are given for hat circumference 54, 56, 58 and 60 cm. 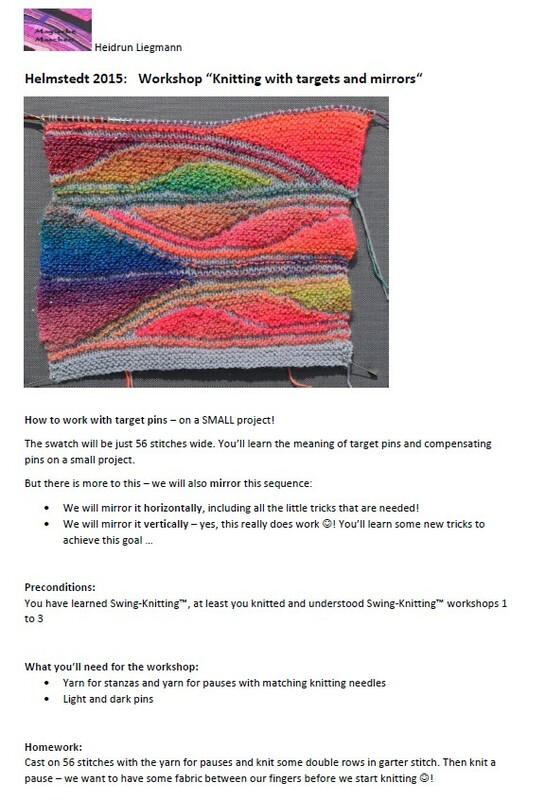 All knitting techniques that might not be known by everyone, are explained step by step in the appendix. Hat Parade is my first way of saying THANK YOU to Matthias Ferner of Wollgarnspinnerei Ferner, a large yarn mill in Austria. 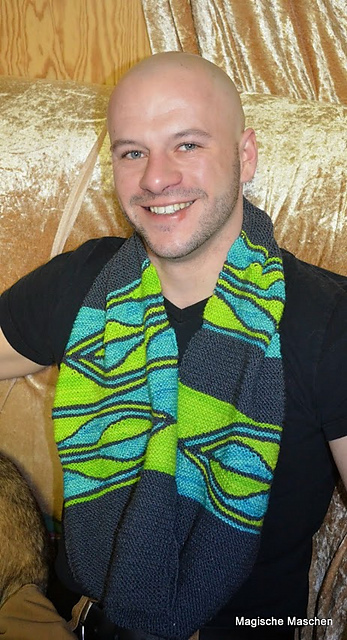 He took 3 days off to teach me such a lot about professional yarn processing! 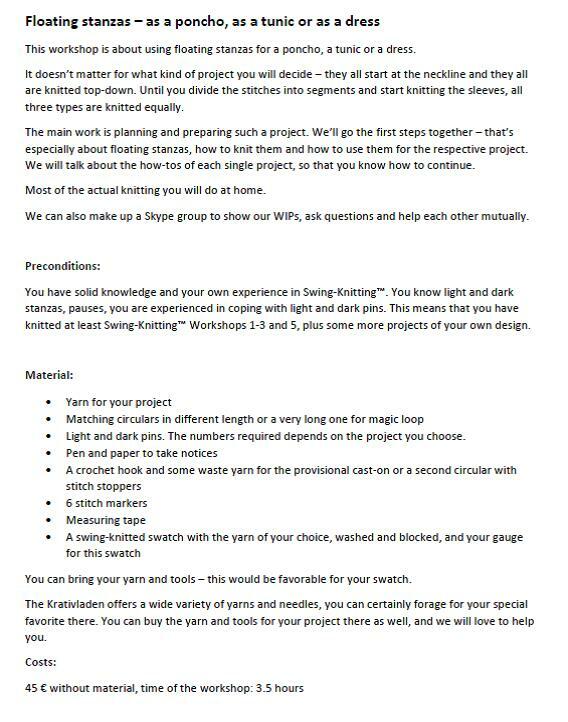 – there will be a lot more about yarn processing, spinning and plying coming soon! 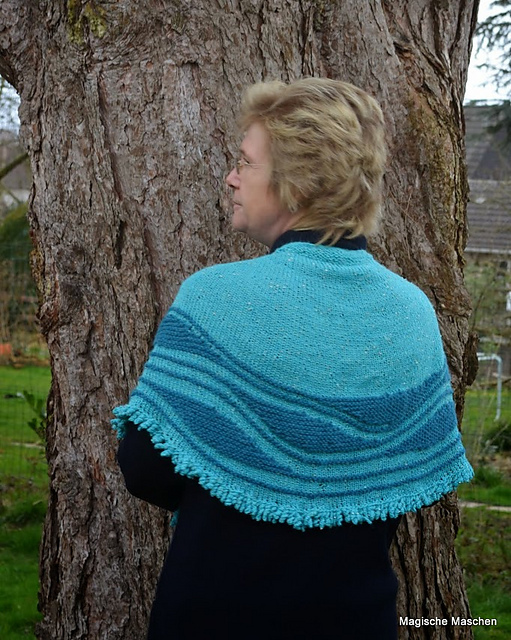 This is the second new free eBook, WinterWarm. 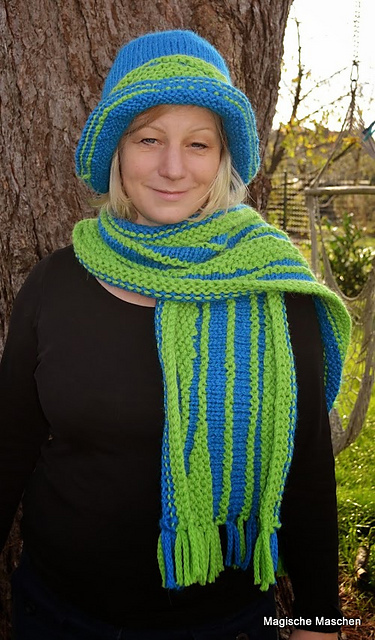 WinterWarm is a set consisting of a hat with a hat band and a matching scarf. 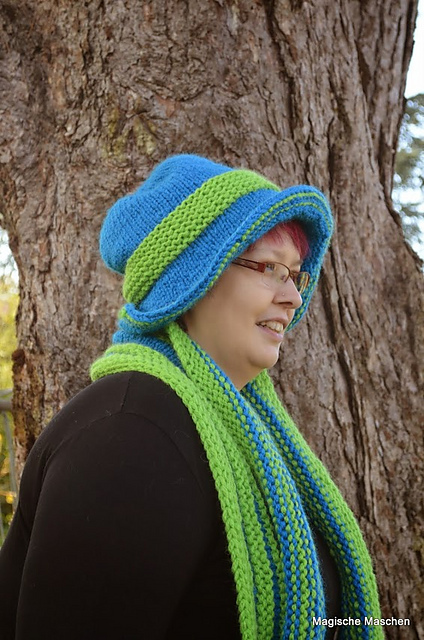 The hat is also included in my free Hat Parade pattern. 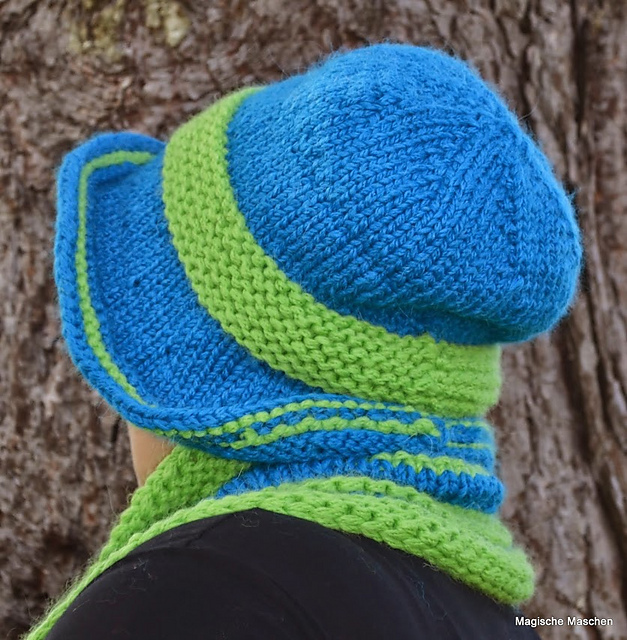 The WinterWarm Hat is knitted on a circular needle using Magic Loop, as is explained step by step. 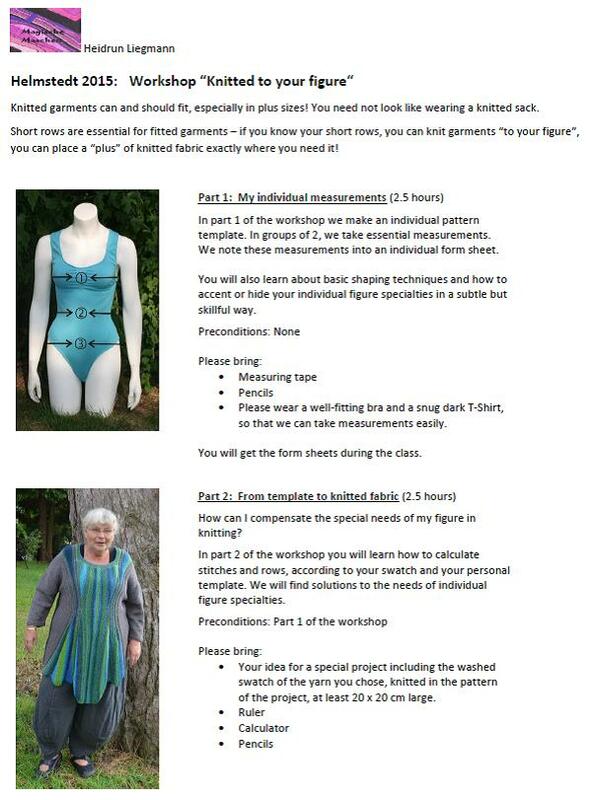 Stitch numbers for sizes 54, 56, 58 and 60 cm circumference are given. 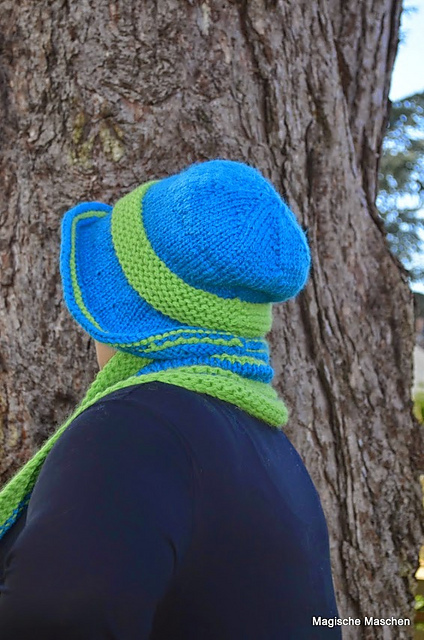 It is knitted with needles 6 mm to give the hat a firm stand. 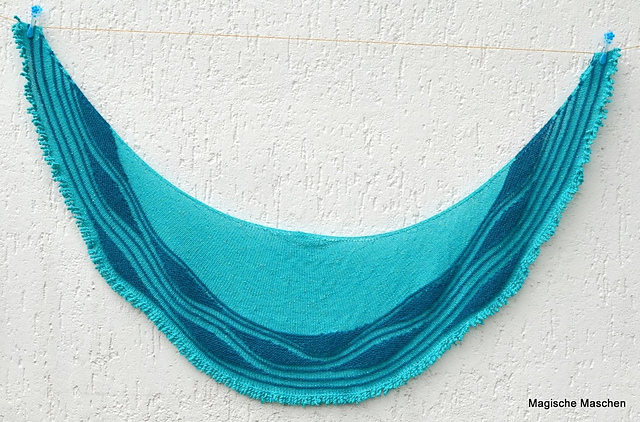 The WinterWarm Scarf is knitted with needles 8 mm in stripes. 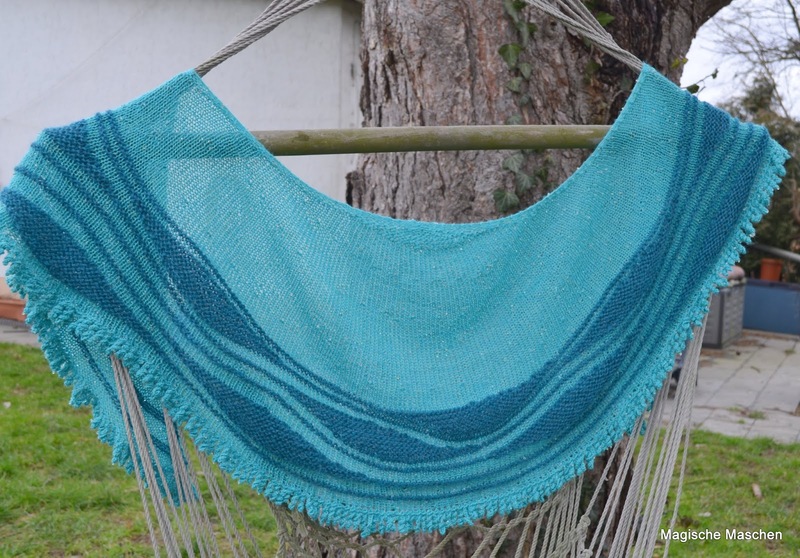 WinterWarm is my second step of saying THANK YOU to Matthias Ferner of Wollgarnspinnerei Ferner, a large yarn mill in Austria. He took 3 days off to teach me such a lot about professional yarn processing! 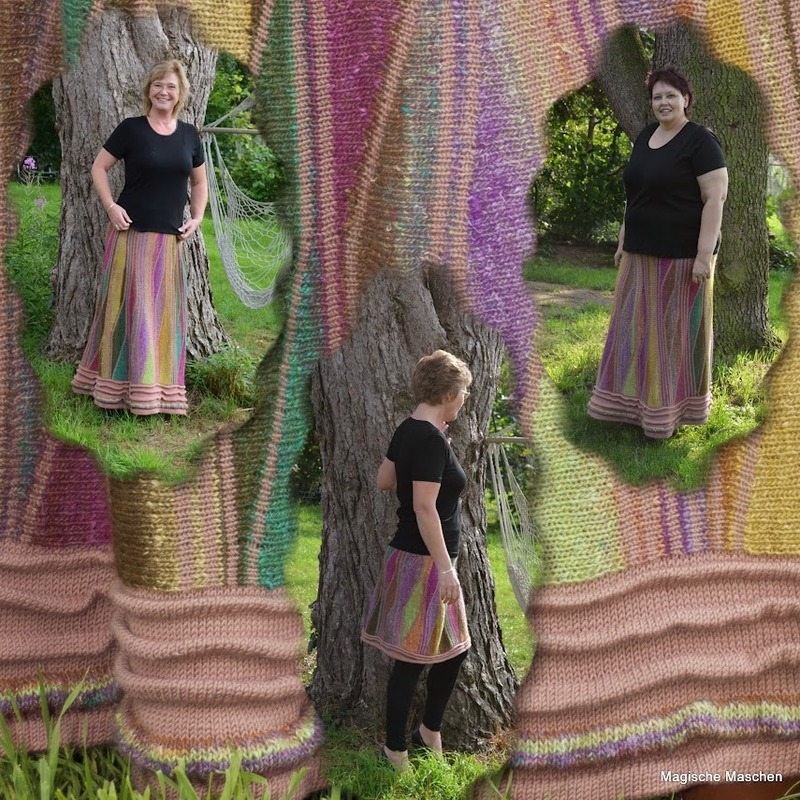 I am proud to present you JAWOLLE.COM as a large online shop who will sell the original yarns for my patterns! 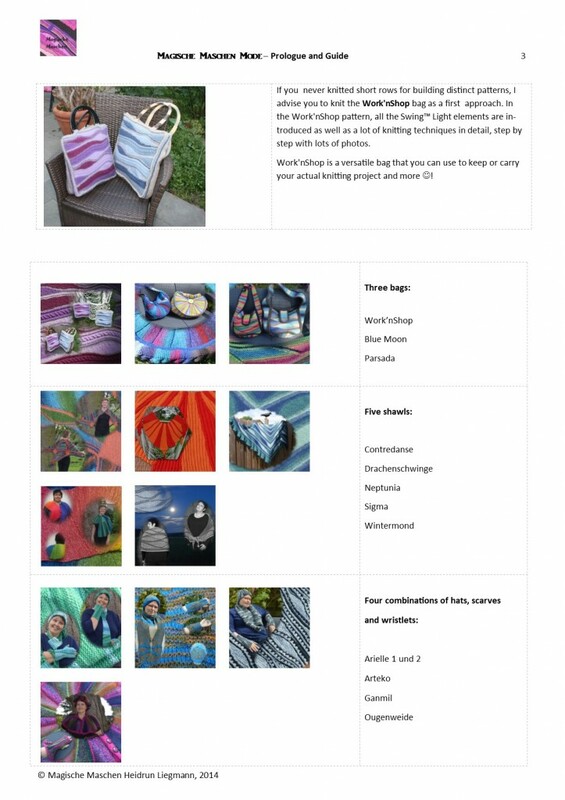 JaWolle ships internationally to all European countries and overseas. 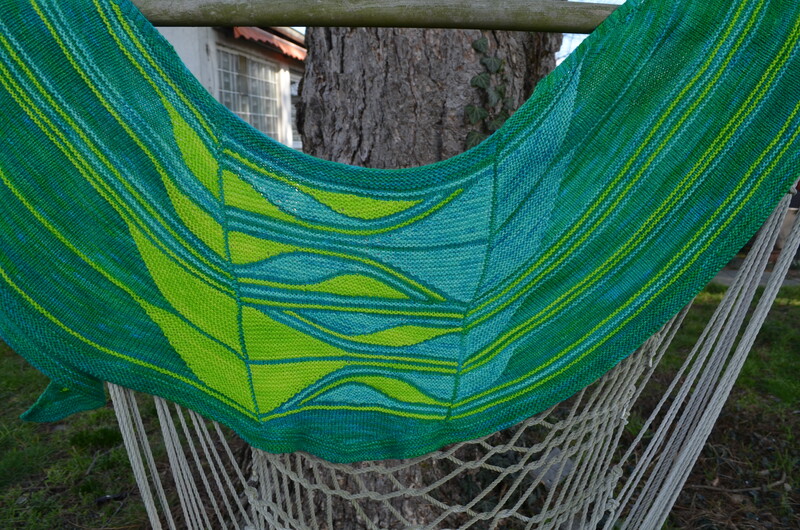 The last 3 photos show the swing-knitted version of Winterwarm Swingy WinterWarm. 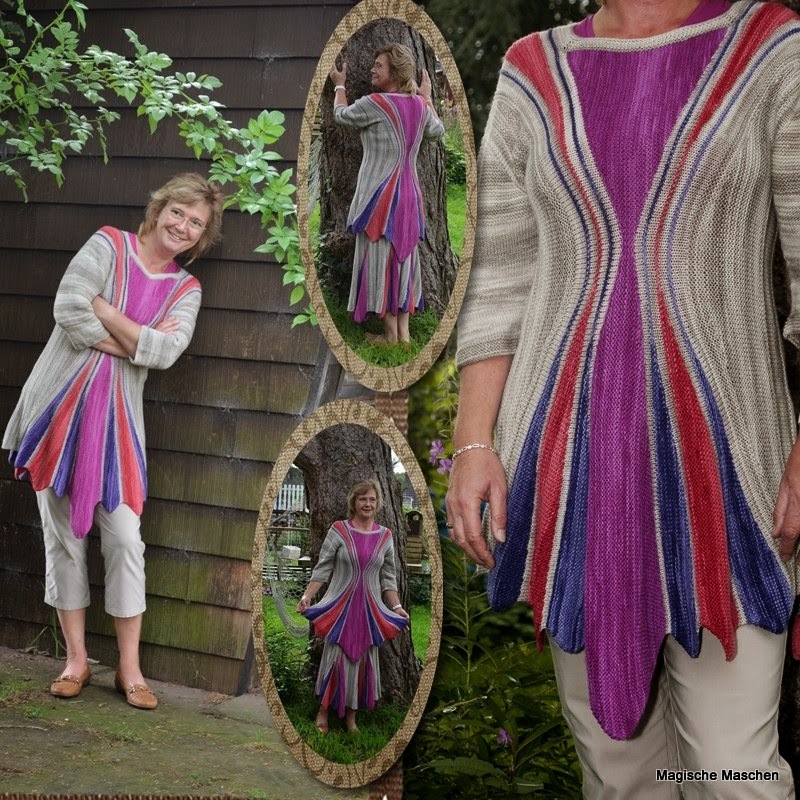 The pattern will be coming soon in my Ravelry Store, this is not included in the free pattern! 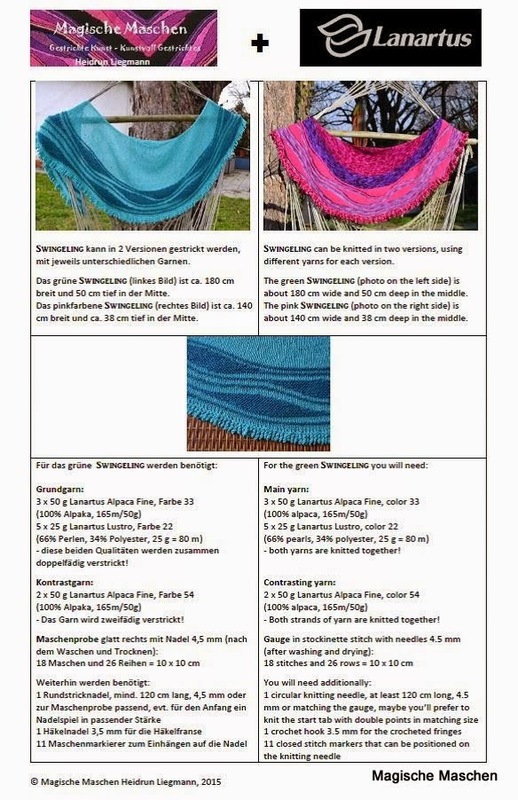 Swingy Winterwarm will be published in two versions: one for people who already learned the Swing-Knitting concepts, and one as a row-by-row instrcution for those who didn’t learn this special short row technique yet. 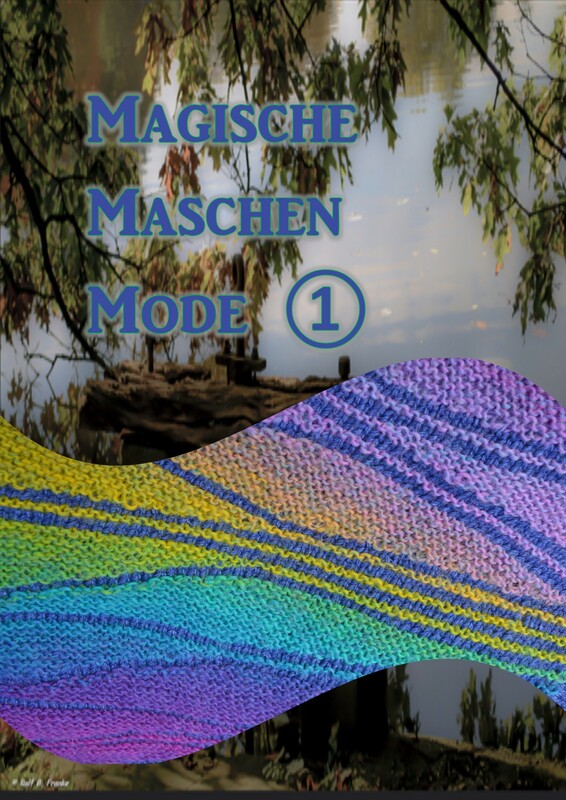 Magische Maschen Mode 1 – now complete!